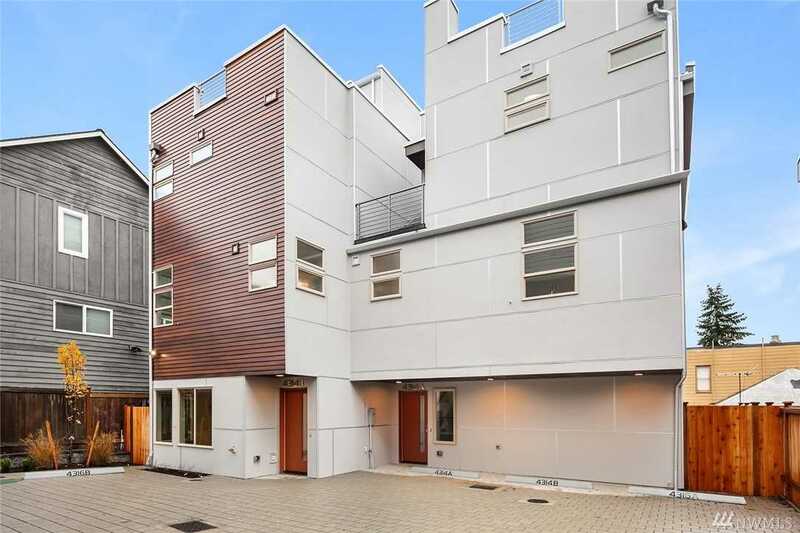 New modern townhome in prime Fremont location. Every detail carefully selected and crafted, premium fixtures and finishes, gleaming hardwood floors, open floor plan, abundance of natural light, show-piece floating staircase, steel rails, A/C and gourmet kitchen. Upper floor master with walk in closet and spa-like bath. Roof top deck with a great view of the Seattle skyline and Lake Union. Off street designated parking included. Lot Size: 0.03 Acres / 1176 Sq. Ft.
SchoolsClick map icons below to view information for schools near 4314 Whitman Ave N Seattle, WA 98103.